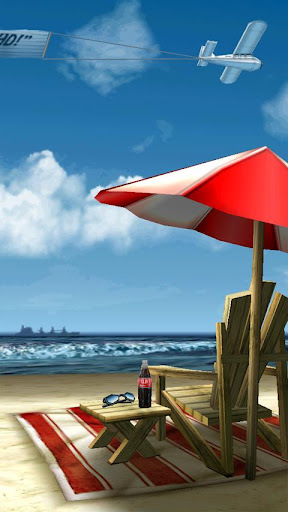 My Beach HD APK Android Wallpaper ~ My Media Centers-PC & Android Games & softwares,Movies, Tips And Tricks & Much more.. Spend a warm summer day relaxing at your own private beach. 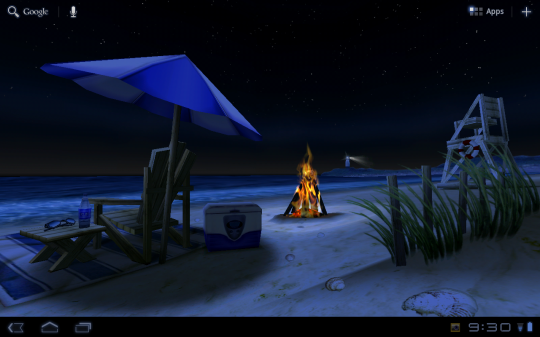 My Beach HD is an Editor's Choice on Google Play! Now with custom signs, custom airplane banners, automatic time of day based on location, Sunset, Dawn, Morning, Evening, Night time, fireworks, and more! PERMISSIONS: Coarse location permissions are required in order to determine an approximate location for accurate sunrise / sunset times. From the creators of your favorite live wallpapers, spend a relaxing summer day at your own private beach - everytime you use your device. Relax in the shade while waves froth at the shore of your very own stretch of secluded beach. Clouds float past a quaint lighthouse in the distance, and a boat gently rocks in the shallows. An airplane with your message drifts through the idylic scene. Choose the sign message on the beach, or hide the sign altogether - it's all up to you! Watch closely, and you may even see a shark! Customize every part of the scene, including the waves, sharks, aircraft, signs, umbrella, and more - thousands of possible combinations! You can also hide or show the items in the scene to create your own beach. Or, select one of the preset themes and choose from the 'Private Beach', 'Fireworks at Night', 'Family Outing', 'Independence Day', or 'Shark Sighting' themes. This wallpaper is true 3D with hand-crafted artwork. Our wallpapers feature silky-smooth animations while conserving your battery life.